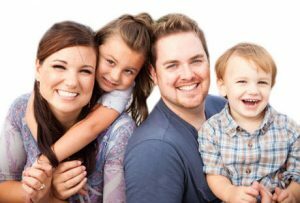 A Blended Family is a family consisting of a couple where one or both of them have had children from previous relationships. This also includes children of the current relationship. Will makers in this instance often want to leave all of their assets to each other in the event that one passes away, but they also wish to ensure that their respective children benefit from their Estate after the surviving spouse passes away. There is often a concern that children may miss out, if one spouse changes their Will. Without specific strategies in place there is a risk that the surviving spouse could change their Will, and leave everything in their Estate to their own children. One way to manage this risk is to have a Mutual Will. Mutual Wills must be drafted by experienced lawyers as many complications can arise. You have to take into account the significant legal issues and obligations that may arise when the Will maker passes on. Our experienced Wills and Estates team will guide you through the many pros and cons of this aspect of Estate planning to ensure that your wishes are carried out. Contact our team today to discuss your blended families and mutual Will legal needs.